Weddings are extremely exciting and fun event, but they can be expensive as well. If the cost of planning makes you wonder how you’re going to afford the wedding of your dreams, then here are some suggestions for you. There are a lot of ways to cut costs while creating a fun and memorable festive party. Renting seat covers is a budget dilemma – not to mention that they require a lot of work to arrange. So instead of using these expensive decorations, buy some pieces of fabric to tie on the back of your wedding chairs. You can choose any type of fabric you want, as long as you feel that it’s right for your reception needs. It would be better to choose the type of fabric that will match your wedding theme. Tulle, lace, or satin makes an excellent choice. Ask some friends to help you create the arrangements. Similar to seat covers, renting table linens are very costly. If you are a hands-on type or you know someone who knows how to craft things, consider making your own elegant tablecloths. Once again, all you need to do is to buy a few pieces of your favorite fabric and cut them according to your preferred design. 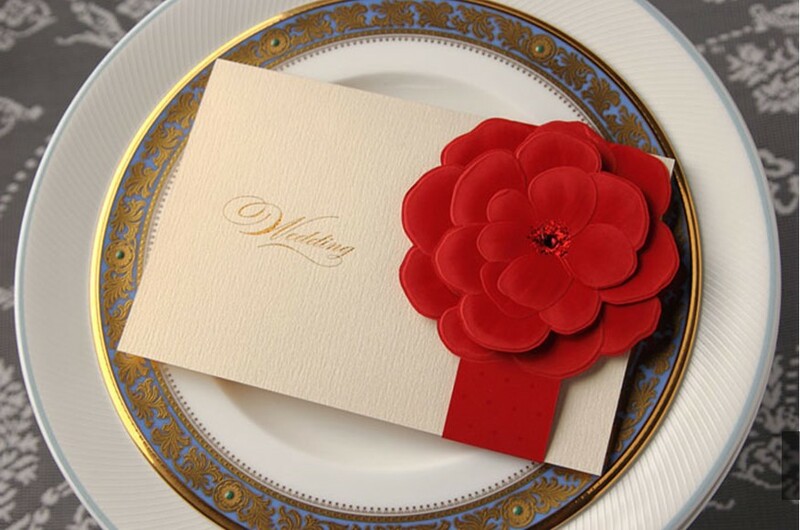 Ma sure to also match the color of the linens to your wedding theme to create a wonderful theme blend. Also ask some friends or family members to lend a hand. Flowers have always been a popular choice of decoration for any occasion; but they don’t have to be expensive. Many florists offer lovely floral decorations at a very affordable price. Make an effort to search for flower shops that provide low-cost options. But if you want to save even more, you can just pick your favorite blossoms at your garden and arrange them in simple vases. The glow of candles can add an instant charm and romance to a dim wedding reception. If you don’t want to pay an additional cost for lighting, consider putting hundreds of candles around the venue instead. For more appeal, design the candle holders with some ribbons and glitters. However, just make sure to have some water or fire extinguishers around, in case of fire. Paper garlands are a great party trend. Not only that they are cheap, but they are also easy to make. 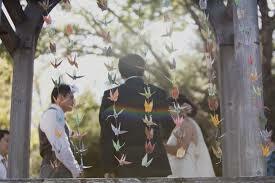 If you’re looking for budget-friendly wedding reception decorations, then a paper garland is one of the best options. All you need to do is to buy some paper, cut them in any shape you like, attach the pieces of string, then hang the finished product on the wall! Using this cheap and yet wonderful decoration can transform your dull venue into a stunning wedding hall. Another way to turn your unexciting wedding space into an enjoyable place is to arrange your food in a nice way. Today, many brides consider adding candy or special treat buffet to add some whimsy atmosphere in their reception. Some couples even add some colorful snacks and delicious finger foods to create a fun and festive mood. Whatever your menu is, infuse creativity to make your reception area interesting. Another way to cut wedding cost and, at the same time, have a memorable party is to have your table centerpieces double as your guest favors. There are many items being sold that will help you create a wonderful ambience, but can also be given away as party favors. Such items include candle holders, wine glasses, potted succulents, and candy bags. If you’re a crafty person, you can even add some designs with these items for a more personal touch. Today, the use of feathers as a decor is also in trend. Similar to other wedding reception decorations mentioned above, feathers are relatively cheap, and they also make a great party embellishment. So instead of renting expensive covers or buying costly flowers, just purchase some feathers, arrange them in beautiful designs, and place them around your wedding space. Some people choose to display their Christmas lights all year round on their backyard to make their home appealing and attractive. And these lights can be used to add beauty to your wedding reception venue as well. If you don’t have enough Christmas lights at home, you can borrow some from your family or friends. Then, you can ask their help to hang the lights on the reception walls, or place them around tables and chairs. You can also use lanterns as an alternative if you don’t want Christmas lights. Another way to cut wedding cost and at the same time make your reception venue memorable is to display some photos of you and your spouse-to-be. For sure, your guests will love to see them, and there’s no better place to show them than your wedding reception. Creating a beautiful slideshow of your memories together will surely create a wonderful mood in the party. Your guests will surely “wow” and even smile while watching your love story. 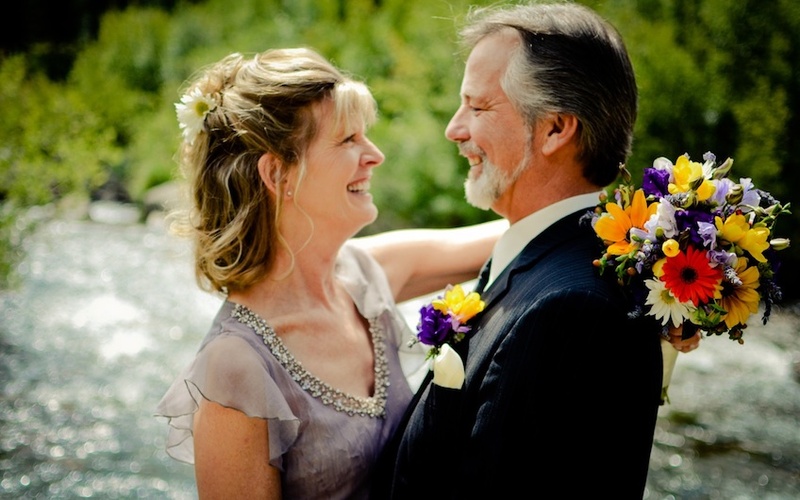 Weddings are elegant and big events, but they don’t necessarily have to costly. With a little imagination and creativity, you can create a wonderful ambience that will make your big day exciting and memorable. Consider some of the budget-friendly wedding reception decorations mentioned, and create a memory that will last for a lifetime. How about you? Do you have any affordable wedding reception decoration ideas to share? We’d love to know them!